Goderich council is hoping to host another Ontario Small Urban Municipalities conference. 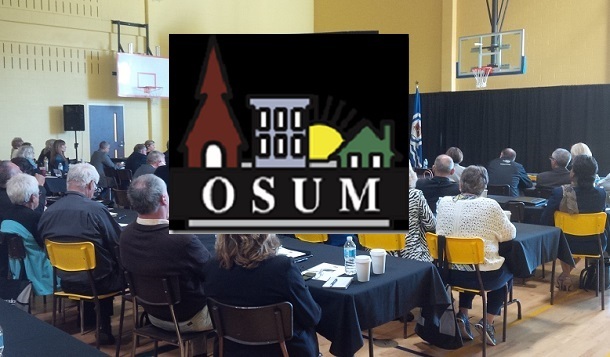 OSUM was in Goderich in 2016 and council has approved a motion to invite them back again. Mayor John Grace said Goderich is very involved in OSUM. “It’s a really good conference and we’re very involved in OSUM and have been for the last twenty years. Our CAO, Larry McCabe, sits on the board and we would definitely put forward an option for them to come back to Goderich. We look forward to hosting them again,” he said. Grace said the money spent in the community over the three or four days of the conference would be a real boost for the retail and hospitality sectors. The 2019 OSUM Conference and Trade show is May 1 to May 3 in Pembroke.